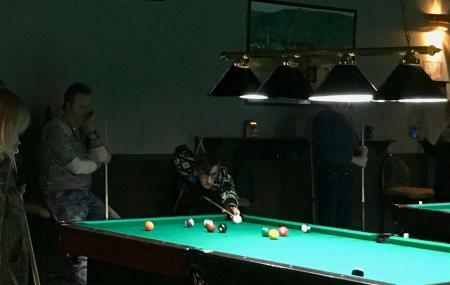 Visiting Dooly's Campbellton is a nice way to give a break to your boredom and enjoy with your friends. It is one of the most favoured pool houses where you will love the billiard boards and the entire set up. You can come here for promotional events as there are proper arrangements for it. It is hard to find a better place than this to relax and have fun while enjoying drinks in the cafe. The fundraising ceremonies organized by the Dooly's Campbellton authorities deserve special mentions as you can take part in them. It is easy to get a membership card from this place and enjoy the facilities at other locations too. How popular is Dooly's Campbellton? People normally club together Memorial Civic Center and Galerie Restigouche while planning their visit to Dooly's Campbellton. Very nice.kiet place to shoot pool..drink a biere and play poker machines....very nice to go relax after a long days work.